The day before yesterday I was 25. The next year I will be 28. This is true only one day in a year. What day is my Birthday ? My birthday is on December 31. 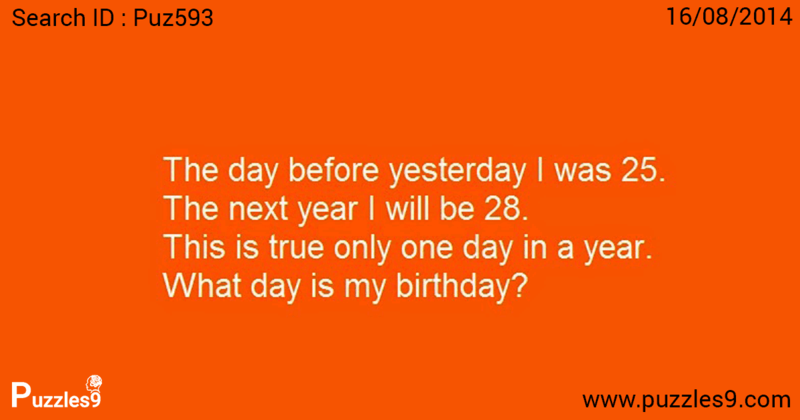 I am telling this on January 1.
this year december 31 = I will be 27. Next year december 31 = I will be 28.